Five heroes awoke from the dead and were made immortal to save the kingdom from the rise of darkness. 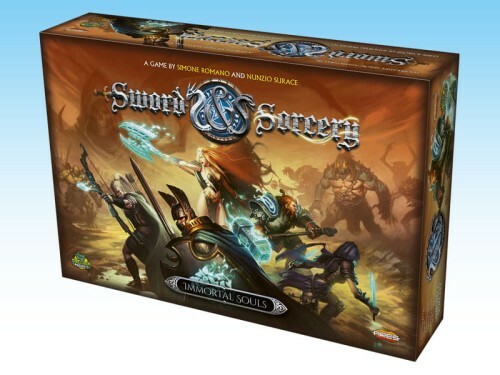 In Sword & Sorcery - Immortal Souls, up to five players control one or more of these legendary characters brought back to life by powerful sorcery, to fight against the forces of evil, controlled by the game itself. Heroes grow stronger during their story-driven quests. Along the battles, they acquire soul points that regenerate their souls, restoring their legendary status with multiple powers, magic and soul weapons, and powerful artifacts. An innovative A.I. system allows the control and management of enemies by the players, giving them intelligent behavior and creating interesting battles every time, with no Game Master required. There is no player elimination - when a hero dies, he becomes a ghost soul, an ethereal form able to use its unique ghost shout against enemies, and then he can resurrect spending Soul points at the Gods altar. 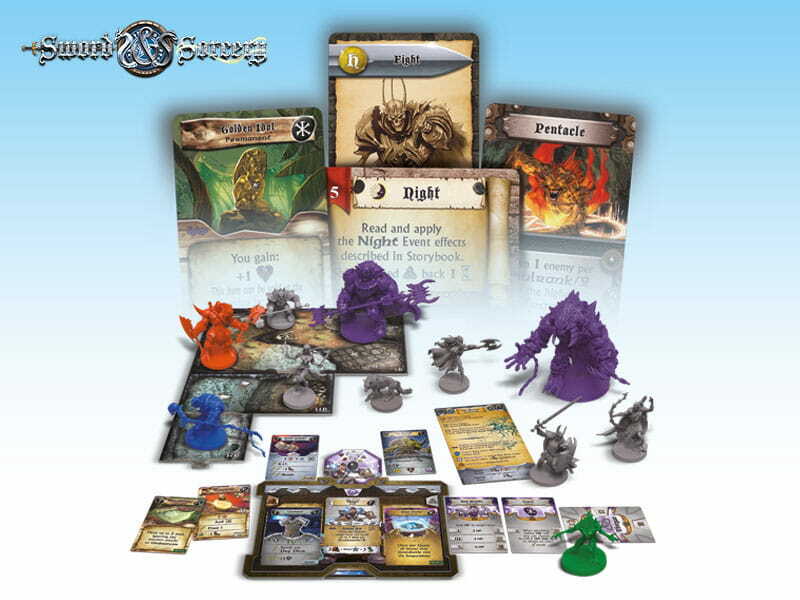 The game features ultra detailed 32mm scale figures and modular boards, several decks of cards, Solo Play, high character customization, sophisticated combat and magic system, and quests designed to be completed in about 90 minutes or less. This set includes 12 high-quality, ready to play miniatures: four locked doors, four normal doors, and four treasure chests. In this Hero Pack, you will find all you need to play Onamor either as a Chaotic Necromancer or a Lawful Summoner. In this Hero Pack, you will find all you need to play Victoria either as a Lawful Captain or a Chaotic Pirate. Organizer piankowy dedykowany do gry Sword & Sorcery. Create new legendary tales by fighting and banishing infernal enemies to save the realm. The darkness is covering all the land, the cemetery gates are no longer closed, and the immortal heroes must now face enemies who ignore pain and never sleep… the undead army! Skeletons, vampires and werewolves appear everywhere... Will the heroes accomplish their mission and finally free their souls from the soul gems' spell? Zestaw wysokiej jakości 58 metalowych monet.